This is a rich, high fat, high calorie, alcoholic ice cream. Adjust serving sizes accordingly. Not suitable for children under six. May be illegal in some jurisdictions for those under drinking age. 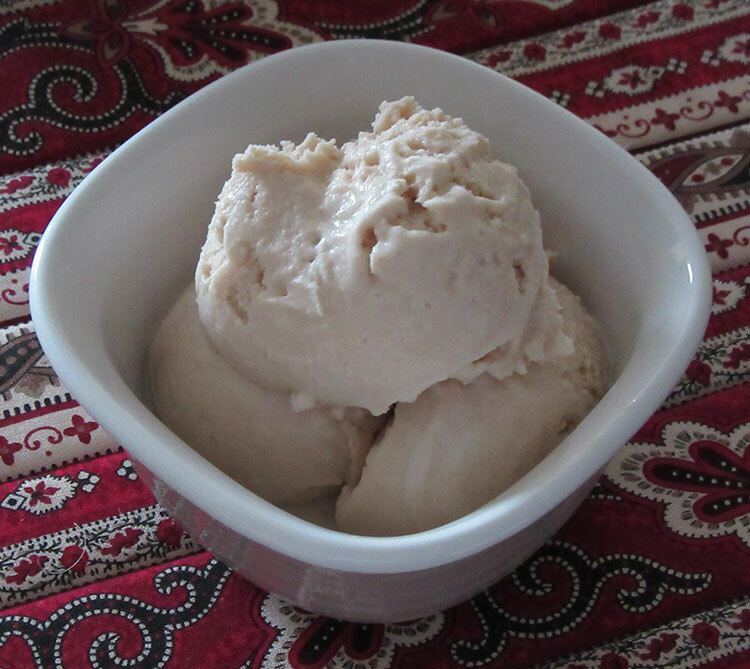 Recipe based on a 2 Qt / 1.9 L ice cream maker. Quantities should be adjusted for different sized machines. 1. Put shredded coconut in a container. Pour rum over coconut. Put in fridge overnight. 3. Gradually beat sugar into the eggs until completely dissolved. 4. Drain rum from shredded coconut into mixture. Beat until well mixed. Put coconut back into fridge to keep cool. 5. Add whipping cream to mixture while beating. 6. Beat coconut milk into mixture. 8. Put mixture into ice cream maker and proceed per manufacturer’s instructions. 9. About 2 minutes before the ice cream looks ready, slowly add the shredded coconut. For rum and raisin ice cream, substitute raisins for shredded coconut, substitute regular milk (any fat content) for the coconut milk. All other instructions are the same.